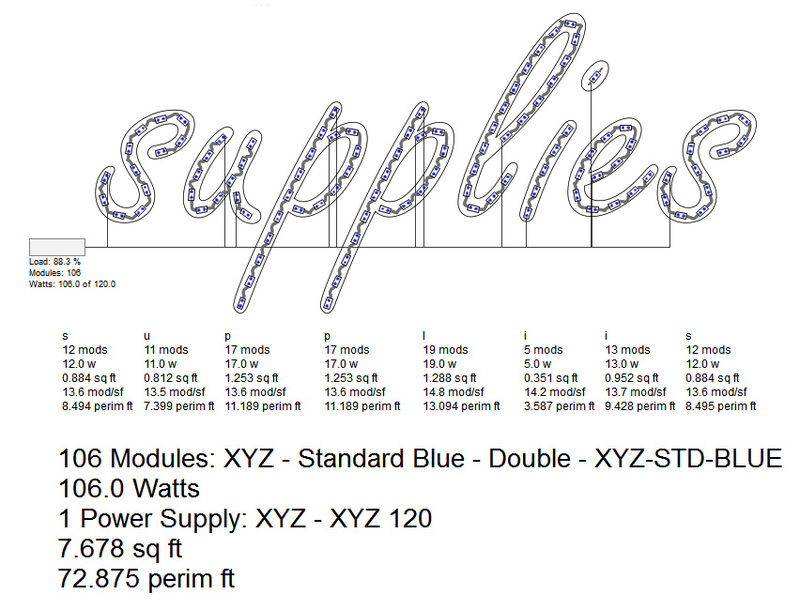 Can't find your LED supplier or module in the list? No problem, now you can create your own custom modules! 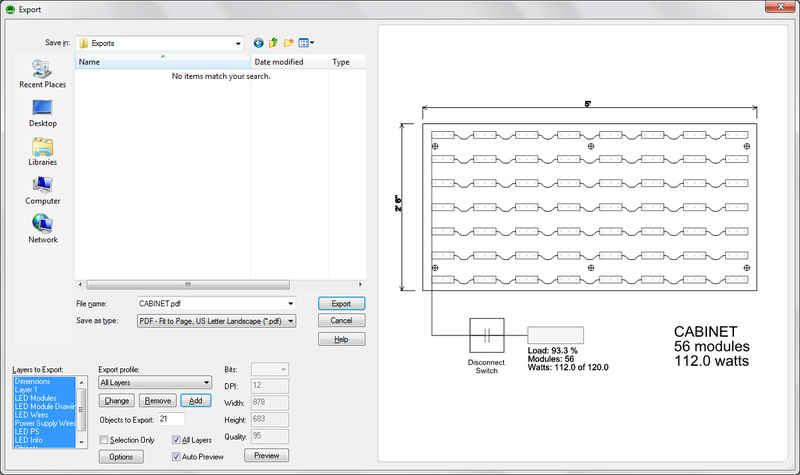 The new LED Database Manager enables you to add all of the data you need for your new module to run in LED Wizard. 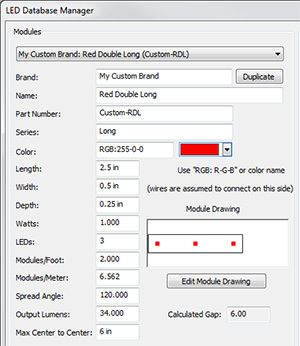 You never have to worry that you won't be able to complete a population because LED Wizard doesn't support a certain LED supplier or doesn't include a particular module. 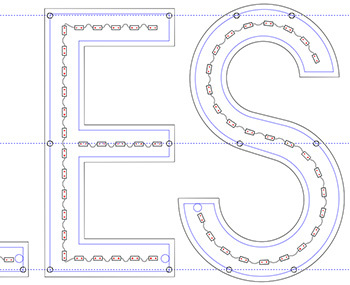 Finally an automated process for adding mounting and wiring holes to your channel letters! 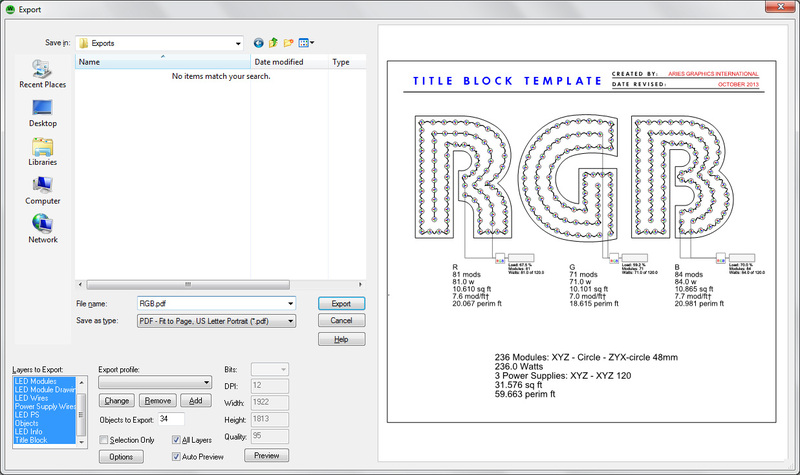 This tool lets you quickly create horizontal rows of holes that are positioned inside the letters according to your specifications. This is a huge time saver, as you can create all of your holes in just a couple minutes and then export the file to your router for production. Now you can create a library of reusable objects that can be inserted into the layout with one click. 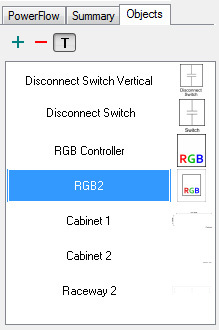 Perhaps it is a Disconnect Switch, RGB Controller, standard cabinet, or any other object that you want quick and easy access to for your layouts. This provides another way for you to customize your layouts and improve your productivity, as this Object Library is much faster than importing. 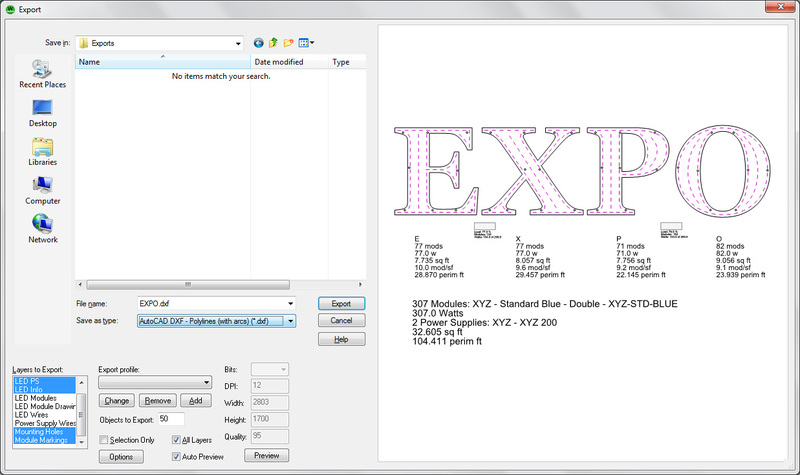 Most sign shops have Adobe Illustrator and/or Corel Draw as design programs, and many files find their way through these programs, so to make it even easier to bring in lettering and graphics, LED Wizard 7.1 supports simple Windows Copy and Paste of the vector data. This is a very quick way to bring in your designs, and by using this method you do not have to export/import at all! 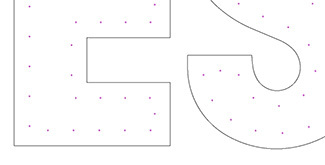 As part of the custom module drawings capability, a module mounting hole can be defined that is exported to your router for precise module positioning on your letter backs. 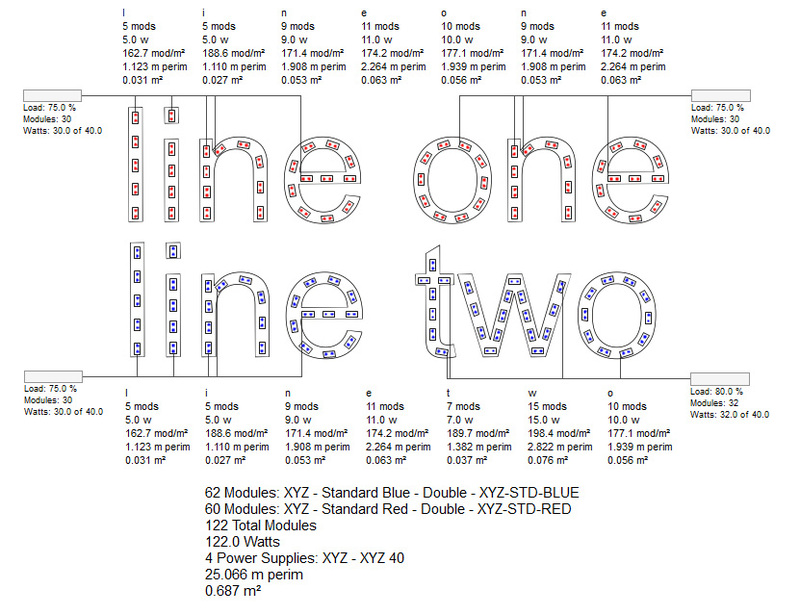 This is another way that you can enure the exact module positioning in your shop from your desinger's drawings. From this data, you can either route, notch, drill, or mark with a pen. 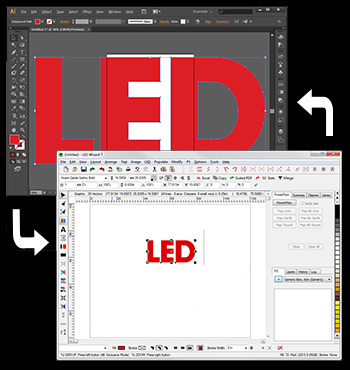 LED Wizard 7.1 provides many options when exporting, including selecting various layers, formats, and sizes, so the Export Preview is a great tool to ensure that you are exporting exactly what you want. As LED modules are getting brighter and more diffused, there is an increased desire to populate with as few modules as possible. 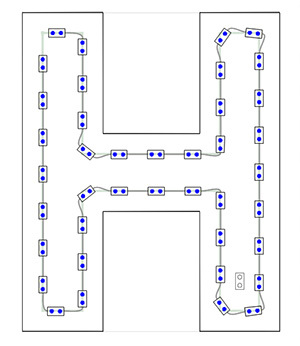 The Fewest Modules Mode and Populate Round achieve this goal and bypass our traditional focus on placing modules in corners and adjusting spacing accordingly. You can be sure with this capability that you are spacing all modules at the maximum amount, both in the auto population and module editing tools. LED Wizard's statistics are the vital information that you need for an estimate, and now we are providing more data and easier management of the various stat objects. 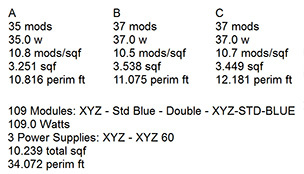 This information can be customized, but the standard data includes the number of modules, watts, modules per square foot, square feet of the sign face, perimeter measurement, and power supplies. Optional data includes pricing information and the unit of measure can be feet or meters.